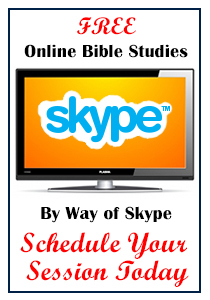 In this section, you will find bible study videos – free to watch – on a wide range of topics from sources such as WVBS (World Video Bible School) and Apologetics Press. If you have questions or comments, contact us by email or phone. We would also be happy to arrange a bible private bible study with you in your home, at the Chattahoochee Church of Christ worship center, or by Skype. We invite you to visit with us during any of our services.